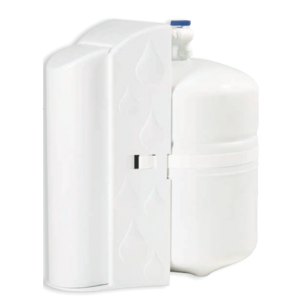 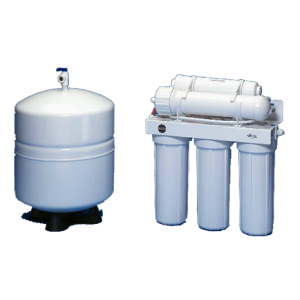 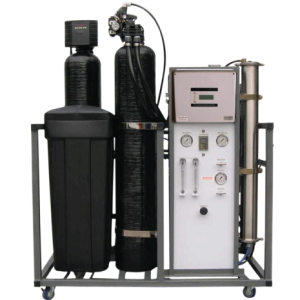 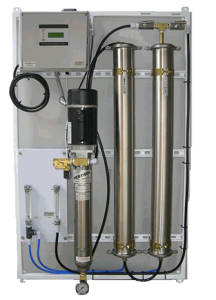 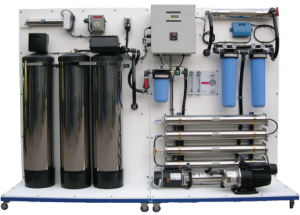 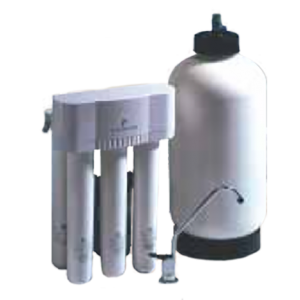 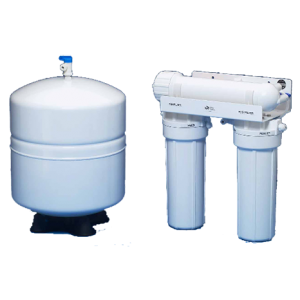 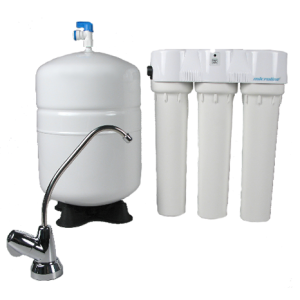 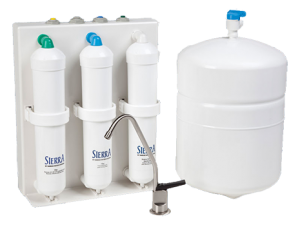 Reverse osmosis (RO) is a water purification technology that uses a semipermeable membrane. 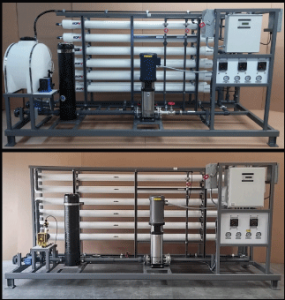 This membrane technology is not properly a filtration method. 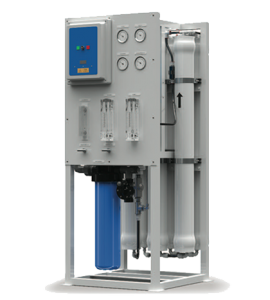 In reverse osmosis, an applied pressure is used to overcome osmotic pressure, a colligative property, that is driven by chemical potential, a thermodynamic parameter. 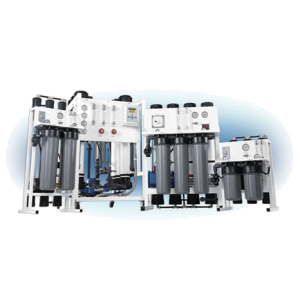 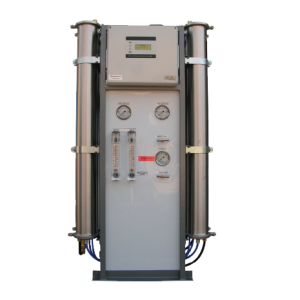 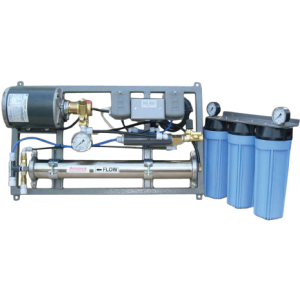 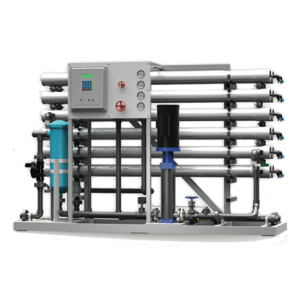 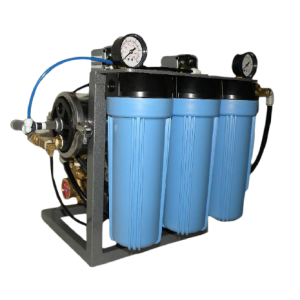 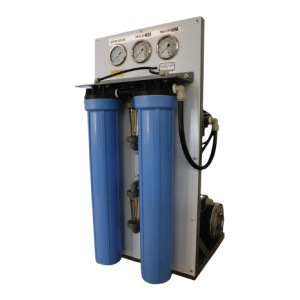 Reverse osmosis can remove many types of molecules and ions from solutions, and is used in both industrial processes and the production of potable water. 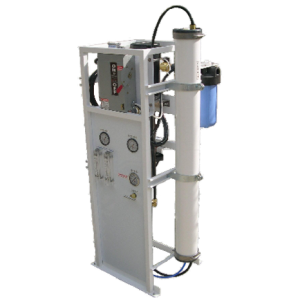 The result is that the solute is retained on the pressurized side of the membrane and the pure solvent is allowed to pass to the other side. 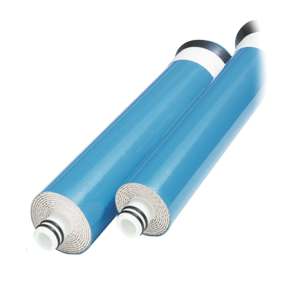 To be “selective”, this membrane should not allow large molecules or ions through the pores (holes), but should allow smaller components of the solution (such as the solvent) to pass freely.